We love our repeat adopters, especially when they are a Young at Heart board member! Tenni is a super shy kitty who had a hard time adjusting to all the changes in her life. Young at Heart founding board member, Sheila, offered to foster her, using a spare bedroom to give Tenni all the peace and quiet she needed to realize she was ok. Tenni now loves to explore Sheila's house and is busy becoming friends with Sheila's other Young at Heart kitty, Sparky. Sheila decided this sweet and shy girl should be a part of her family, and made it official! Tenni, you hit the jackpot! 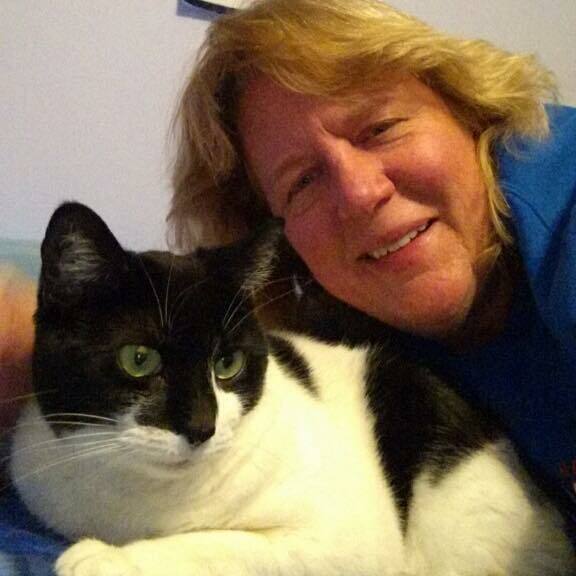 Congrats on your new family member, Sheila, and thank you for adopting yet another lucky senior kitty!